For a lot people simple activities that were once easy to perform or enjoyable are just too painful. Folks are left to wonder if they will ever be able to enjoy these activities again. Whether that means tennis and golf prevented by painful elbows and knees, or knitting and crochet prevented by painful hands and wrists; nobody wants to have their activity level reduced due to pain. Even everyday tasks like getting the mail or picking up groceries can be a painful experience due to back, spine and hip pain. Non-surgical and over-the-counter (OTC) oral options for treating pain are best taken and mostly intended for short term use. What happens though when your pain is not a short term problem? NSAID’s, and acetaminophen, as well as, prescribed opioid drugs are commonly recommended or advertised as options taken daily to reduce pain. Unfortunately, these are also associated with risks, like stomach bleeding, kidney and liver damage, addiction and overdose when ingested longer than intended o when not taken as directed on the packaging. This is why it is so important to read labels and understand how medications are to best used. Just as important, is understanding what type of pain you are experiencing and why. This is because not all pain is created equally, and determining why you have pain is the first step toward knowing how best to address it. Is the pain related to a trauma or fall? Is it a sudden complaint or has the pain been coming on gradually? Is it due to progressive weakness in the body or is it due to a lack of flexibility? Is it better or worse with movement, or heat or ice? Is there swelling or bruising? Has an ex-ray or MRI been taken and reviewed to rule-out a fracture, tear, or disease? All of these particulars will inform how best to address or resolve your painful condition. Whether your experiencing pain due to a strain or fall, pain that comes and goes, or it’s something you experience daily, you will likely benefit from one of the following treatment alternatives. Massage therapy relaxes muscles and stimulates the production of certain chemicals in the brain that reduce how people experience pain. Most licensed massage therapists are familiar with treating painful conditions. If you are new to massage and considering seeing a therapist, then ask family and friends or a trusted professional healthcare professional to recommend an experienced massage therapist. Ask if your therapist has any additional training in Swedish, deep tissue, trigger point, myofascial relief, or cranio-sacral therapy massage for chronic pain sufferers. Regular massage therapy can do wonders to reduce pain, improve function and help keep you on the road to optimal health. Acupuncture has long been recognized as an effective and long-lasting treatment for chronic pain, particularly low-back pain, neck pain, knee pain, and headaches. The NIH advises that patients to seek services from a licensed acupuncturist or a conventional medical practitioner with training in acupuncture. Additionally, acupuncture is covered under VA Care, BC/BS State and Federal Employee Plans, many self-insured plans, and Workers’ Compensation. Yoga combines the healing powers of meditation, stretching and strength-building; and it is well suited for those with chronic pain. There are many styles of yoga so it is important that you talk with any prospective instructor to determine what is best for you. There are many ways to enjoy yoga, from slow and gentle to fast-paced athletic yoga. It is easy to to get started and Chair Yoga is an excellent option for those with limited flexibility or for anyone who has difficulty getting-up from the floor. A knowledgeable certified instructor should be able to help identify your best starting point to enjoy yoga. Inflammation can often be a hidden source of chronic pain. Planning meals that limit or eliminate processed foods, meat, dairy, cheese, added sugars, and alcohol is an excellent way to reduce pain. Replace these foods and beverages with colorful vegetables, healthy fats, whole grains and purified water. These are the basics of any healthy diet. Adjusting your diet can provide dramatic results that reduce and control chronic pain. It should be considered your first line of defense in preventing and reducing chronic pain due to inflammation. 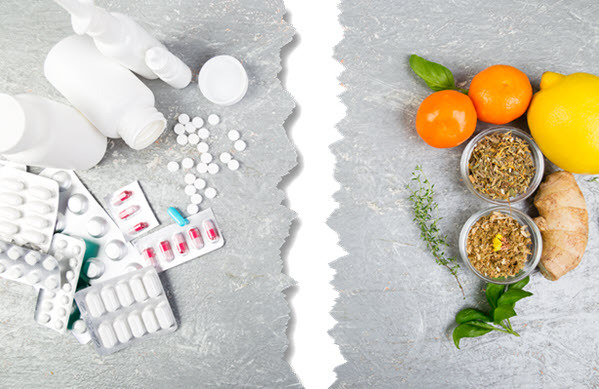 These four alternatives are well understood to be effective in reducing and preventing certain forms of chronic pain, but because everyone is a little different some of these options will be more or less effective. Identifying what works best for you will help you establish a personal pain prevention and reduction strategy. Of course, for some chronic pain sufferers, alternative therapies alone may not be sufficient, and conventional pain treatment must be included to provide effective pain relief. As with all healthcare decisions, individuals with chronic pain should consult with their doctor to discuss a pain management plan that’s safe, healthy, and effective for them.